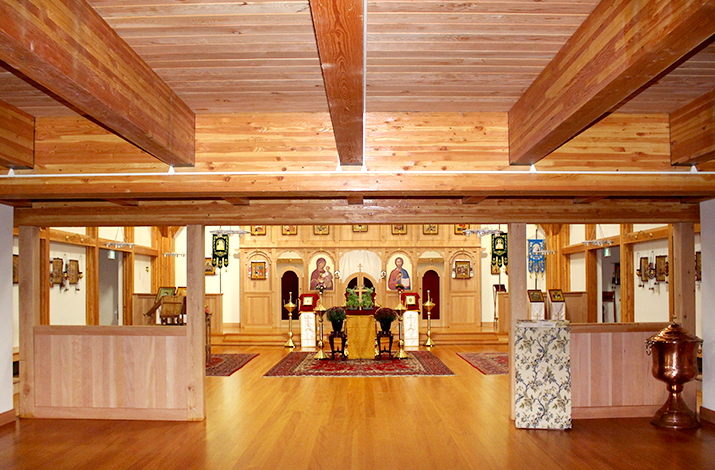 After a fire destroyed the original St. Elias Ukrainian Catholic Church in 2014, it was rebuilt from the ground-up just two years later. We designed this new worship and community space with Zimmerman Workshop, DK Studios and Sustainable Edge. We wanted to maintain all of its original beauty, while bringing the performance and efficiency of this incredible building up to current standards. The design of the church follows the Ukrainian “Boyko” architectural style. 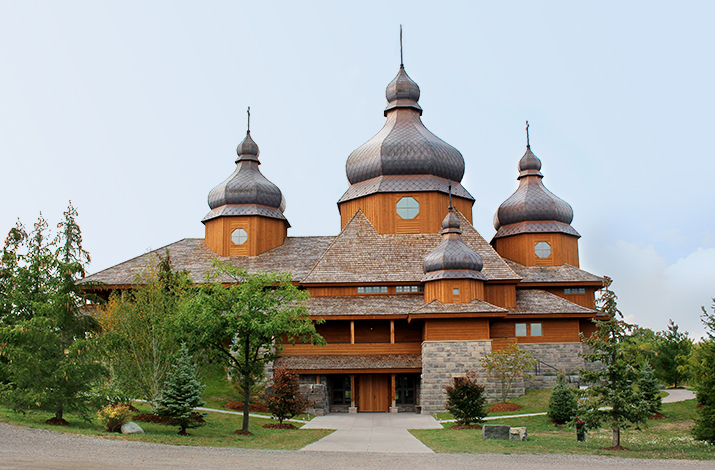 There are five iconic copper-clad domes atop of the church, with the largest weighing over 18,000 kg! 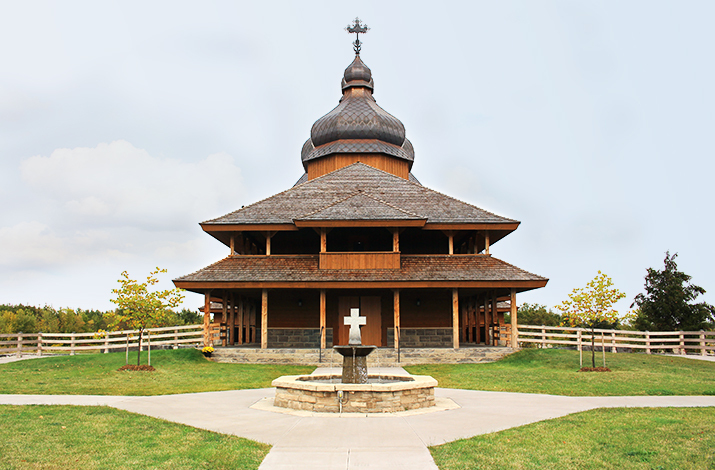 The church is constructed from heavy timber (glulam) on a concrete and stone base. 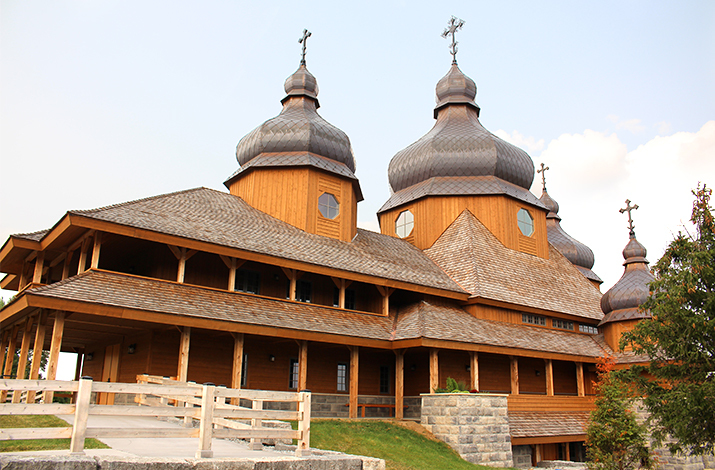 The building measures over 75 feet high, from the base up to the foot of the highest cross. Click here to watch a crane lift the largest dome into position. 2016 Institutional-Commercial Wood Design Award < $10M, Ontario Wood WORKS!